Announced back in October, Nintendo’s latest home console is set to hit the shelves this March. Details of the Switch’s capabilities have slowly been emerging over the last couple of months – here’s everything we know so far. It seems that Nintendo have taken one of the most popular aspects of their previous Wii U console – the ability to play your games away from your TV on the small screen – and combined it with their incredibly successful handheld consoles like the 3DS. Unlike their last three home consoles, the Nintendo Switch will not use optical discs. Games will be sold on small gamecards similar to those used by the DS console line, and will also be available to purchase via download. Games will be region-free. 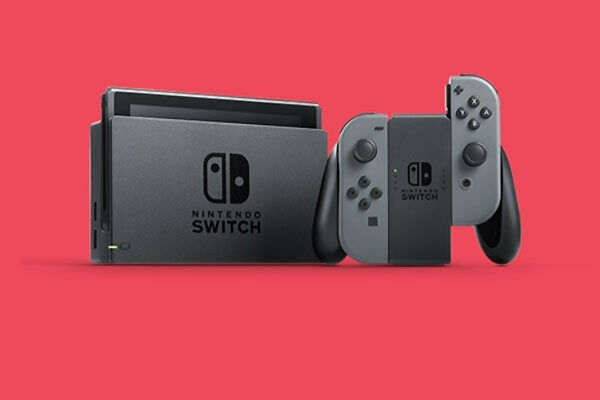 No solid technical specs have been released yet, but we do know that the console will use a custom system-on-chip from the Nvidia Tegra family of products, which according to Nintendo is “based on the same architecture as the world’s top-performing GeForce gaming graphics cards” and will “bring lightweight, fast gaming to the masses”. Visually, some of the games look comparable to those seen on the PlayStation 4 and Xbox One, which will be good for Nintendo as the Wii and Wii U were known for being somewhat under-powered, making it difficult for developers to release cross-platform games on Nintendo systems. The portable unit has a 720p HD display, and the machine can run games in full 1080p HD on a TV. The Switch has an internal Lithium-ion battery that charges when the console is docked, with an estimated battery life of 2.5 to 6.5 hours. Part of the Wii’s huge success was down to the motion controls, which allowed developers to create imaginative games and made the console a lot more inviting to non-gamers. Although it appears that most games on the Switch will be played with a traditional-looking controller, based on the new trailer for 1-2 Switch the motions controls are back too. Thanks to the traditional controllers and increased power, it seems that non-Nintendo developers are more willing to create games for the Switch compared to the Wii consoles. Nintendo has released a list of 48 major third-party publishers that are already on board. As for Nintendo games, there will be brand new Mario and Zelda titles, along with a sequel to Splatoon and an upgraded version of Mario Kart 8. The Nintendo Switch will be released on 3rd March 2017. It will retail for $299 in North America, although the European price has yet to be confirmed.